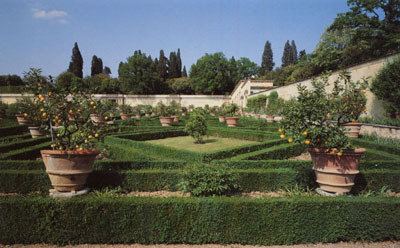 At the back of the Villa there is a huge terraced garden. 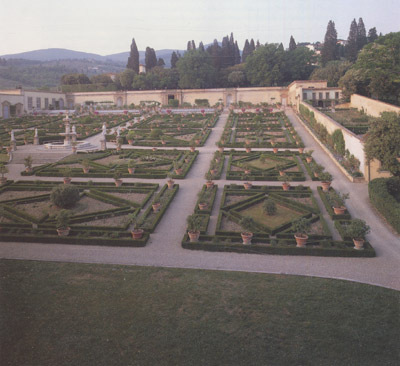 Commissioned from Il Tribolo in 1540, it was intended to be so magnificent that Vasari described it as "the richest, the most magnificent and most ornate garden in Europe". 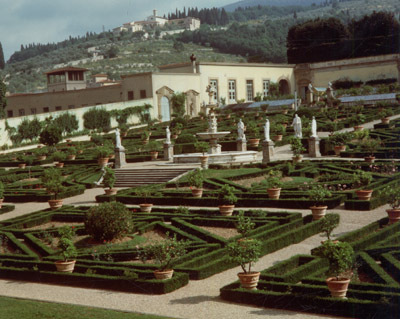 The original iconographic plan, suggested by Benedetto Varchi, was so complex that it could not be accomplished either by Il Tribolo or by his successor, Buontalenti. 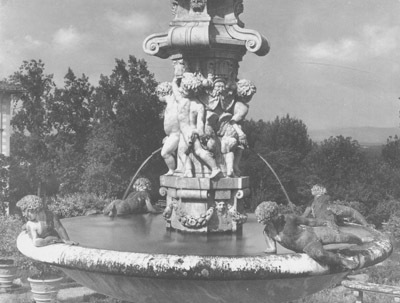 In the centre of the garden stood the Fountain of Hercules and Antaeus, a work by Il Tribolo and Pierino da Vinci accomplished during the decade 1538-48; now only the basin has remained in place, whilst the bronze group of Hercules and Antaeus, by Ammannati, that towered above, has been moved for reasons of conservation to the nearby Villa Petraia. 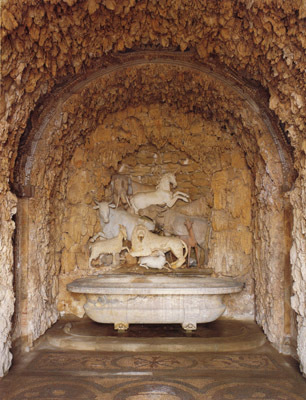 At the end of the central walk, under a terrace, we find the Animals’ Grotto, projected by Tribolo and completed by Vasari. It is an artificial cave with stalactites, covered by a vault decorated with a mosaic made of shells and representing groups of animals of several species, some of them exotic, sculpted in stone and coloured marbles, or cast in bronze. 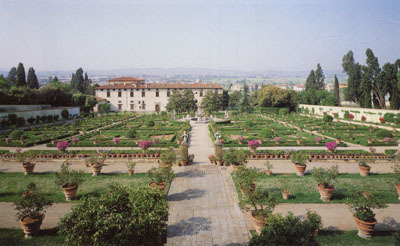 From two covered stairs on the sides it is possible to walk up to the park, which houses a bronze statue by Ammannati called Il Gennaio (January).